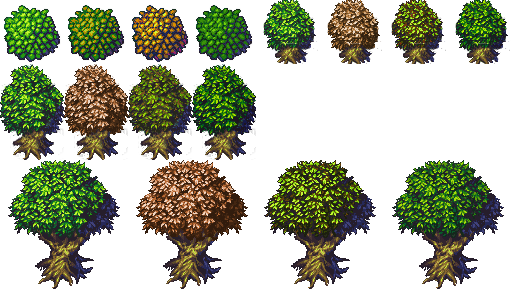 Cheap variations done on the trees made by Jetrel and Zabin. Originally used in Valyria Tear. Please Credit Jetrel, Zabin, and Bertram from OGA along with respect to the current license. Thanks! It was quite simple work, but efficient in term of eye candy. And yes, I like your work very much and must say that it is very useful to me, that's why I consider you an active contributor to Valyria Tear.